For some players, tryouts are a nerve-wracking experience. There is pressure to perform well in a short amount of time to prove yourself to the coaches. By preparing and maintaining a good attitude, you can show the coaches what an ideal fit you make to a successful team. Coming into tryouts well rested, ready to perform and to work hard will help you get ready off the ice. When you hit the ice, that is when the real test begins. Coaches have different ideas of what they are looking for in their team but keeping these tips in mind can help earn your spot on the roster. The primary skill coaches look at is skating. If you can excel at starting and stopping, turning and crossovers well, the rest of the game comes easier. Good skaters will consistently win races to pucks, win battles in the corner and put themselves in the better positions. There isn’t a single hockey skill more important than skating. 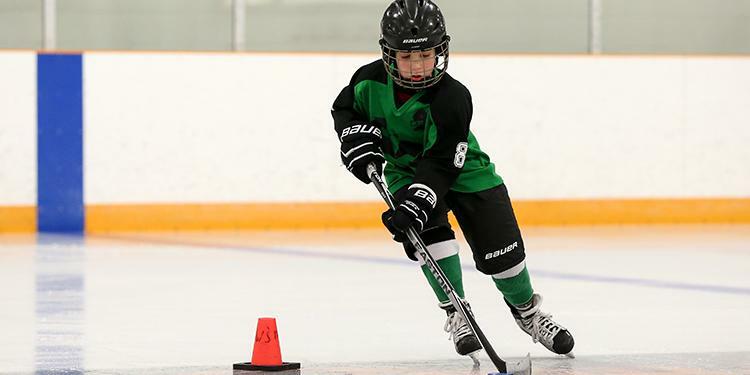 Puck control, passing and receiving, shooting as well as offensive and defensive tactics are the fundamentals of the game that all coaches will evaluate when selecting players for their team. Just because you were successful in making a team last year doesn’t guarantee your spot for the upcoming season. Nothing is secured and you need to prove yourself all over again. There will be new faces competing for a spot on the team who might want it more than what you are showing. Simply going through the motions won’t be enough. Show why you’ll be a good teammate – treat others with respect, work hard and help your teammates. Take feedback and use it to improve, this shows you’re coachable and eager to learn. 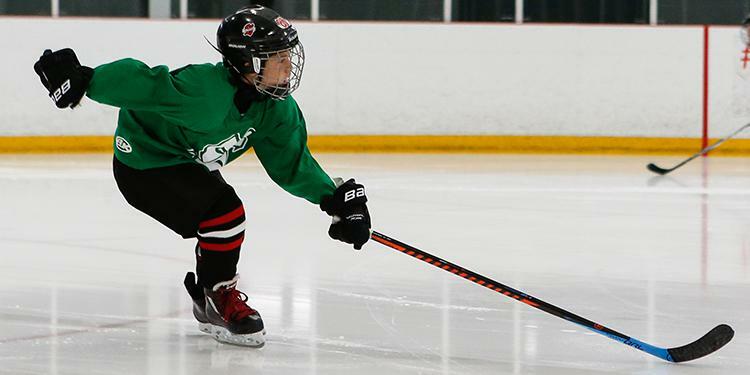 Help your team by going all out on a back check. Don’t let the other side get easy offensive opportunities. If you’re lazy getting back on defence, coaches will notice and it also leaves your teammates out to dry. If you’re in position, you’ve got a much better chance at making the proper play or decision and it can lead to offensive transition opportunities. Did you come to the rink ready to go, or did your skates need to be sharpened…or did you forget your jerseys….or are you missing a piece of equipment… Those distractions before a tryout will be enough to drive any coach crazy. Missing a portion of a tryout because of something that you weren’t prepared for is frustrating for everyone. 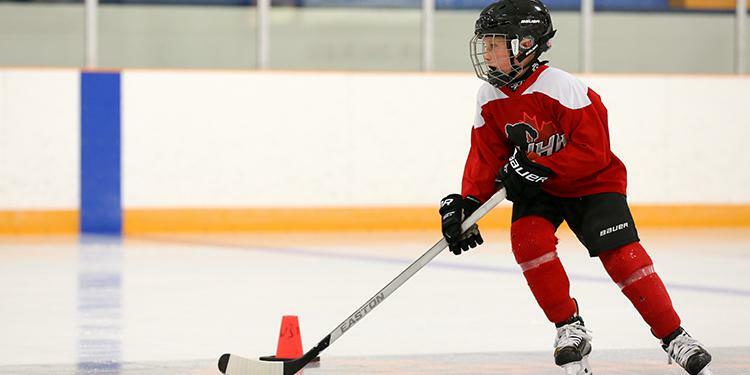 Make sure you’re ready to go when you get to the rink anytime – not just at tryouts. This tells more about you than any skill you may demonstrate on the ice. Are you continuously pushing yourself and giving it your best effort? If you make a mistake, how do you react to it? When you make a mistake, do you give up? Grab another puck in the drill? Slam your stick on the ice? When you make a mistake, brush yourself off, learn from it, and keep playing! Realize you will make mistakes, don’t hold yourself to the impossible standard of being perfect, or you’ll never live up to your own expectations and you’ll always be frustrated! Frustrated players seldom perform well! Coaches understand that players will make mistakes when first learning new skills or concepts. Will you step up and lead a drill? Help other players out? Or will you sneak to the back of the line so that the coaches won’t notice your mistakes? Everyone is a leader, but in different ways. If you’re a talker – talk. If you’re a worker – work. If you’re enthusiastic – be enthusiastic. Pay attention when coaches are explaining drills. There’s nothing more frustrating than a player who is fourth in line and messes the drill up after the first three executed it without problem. That’s a lack of focus! Give a full effort in the drill whether you’re are first in the line or last. If you’re scrimmaging, don’t slowly wander your way to the bench. Skate hard from the time you set foot on the ice until you’re back on the bench. The vast majority of players don’t do this…so if you’re one of the few that does, coaches will notice! This makes line changes easier and shows that you’re always giving a maximum effort. Tom Bly is a Barrie, ON native and holds the position of Chair, Coaches Program in the OMHA.